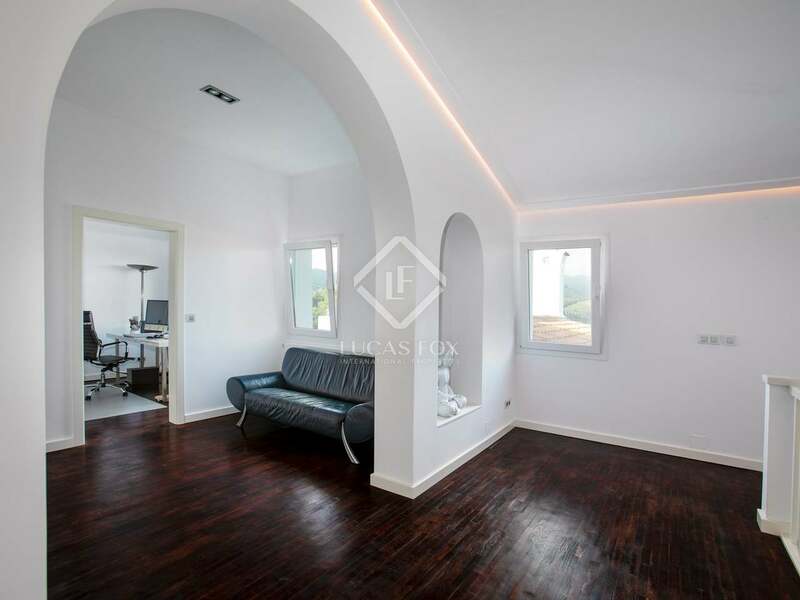 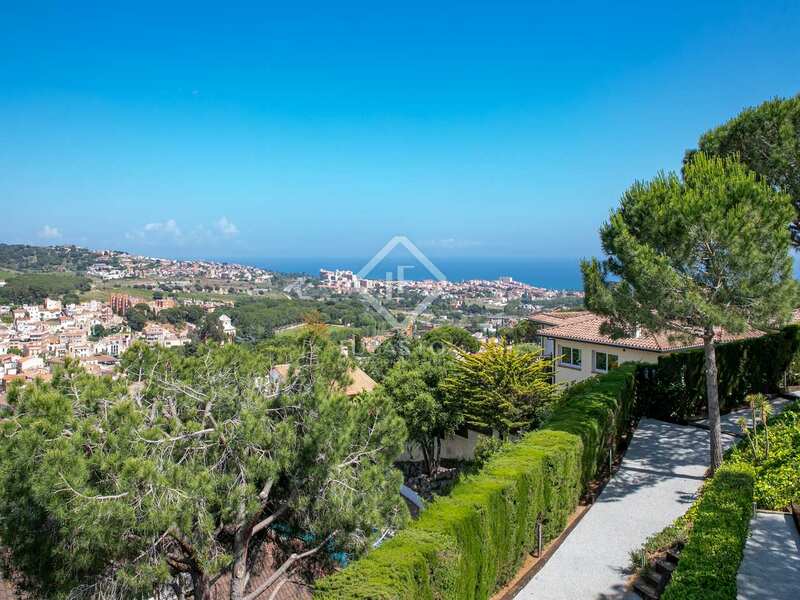 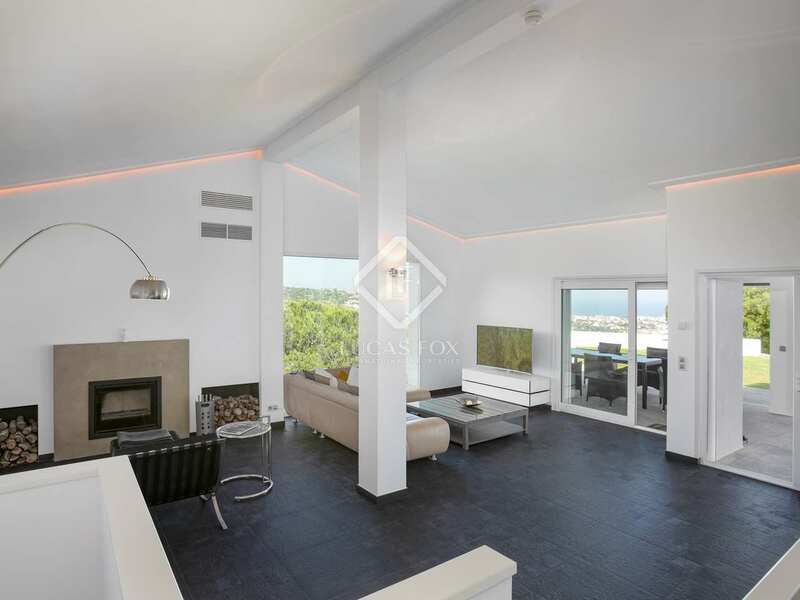 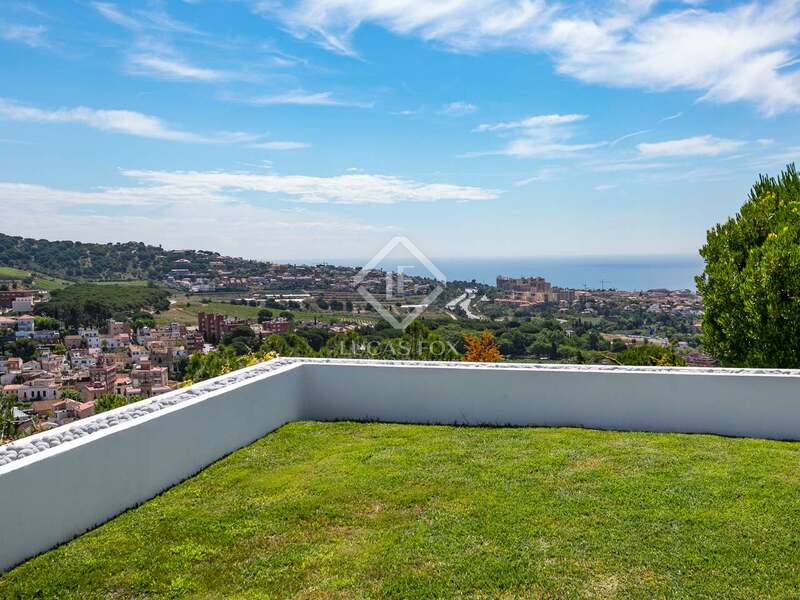 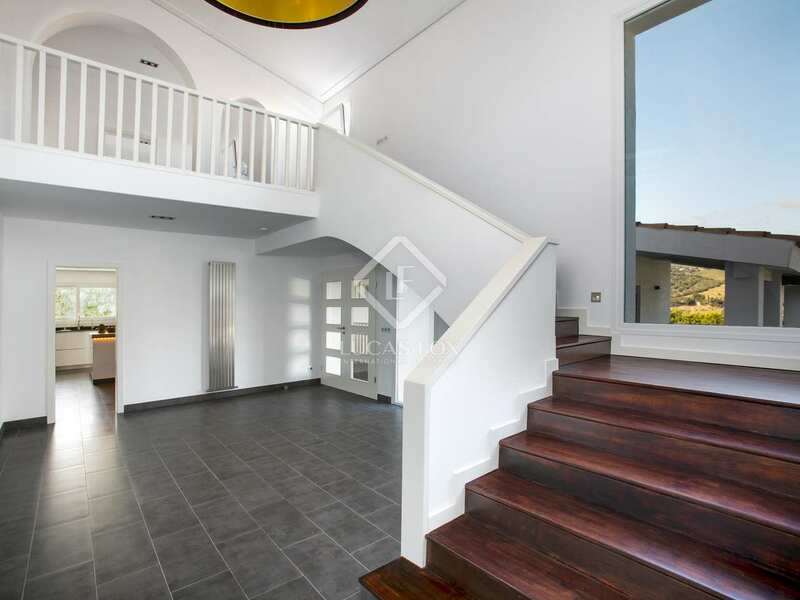 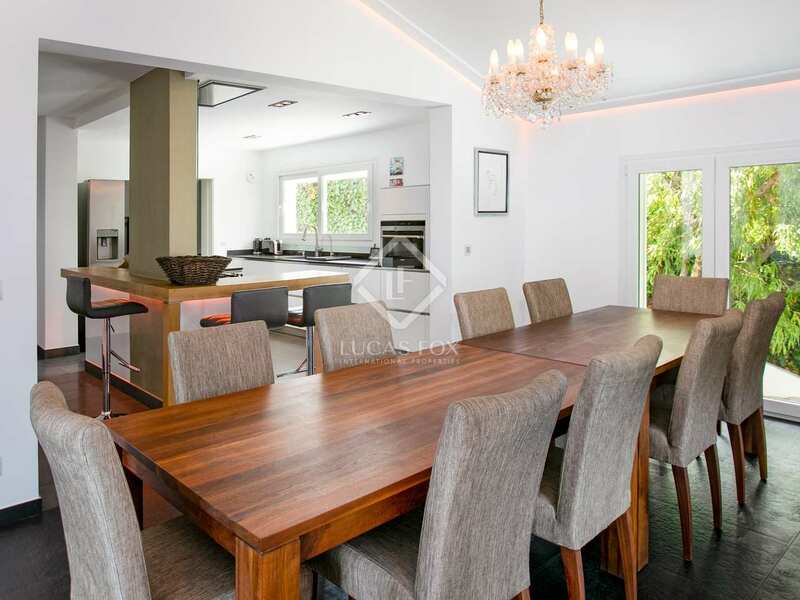 Lovely hilltop villa offering every modern luxury and fantastic views across Alella and the sea. 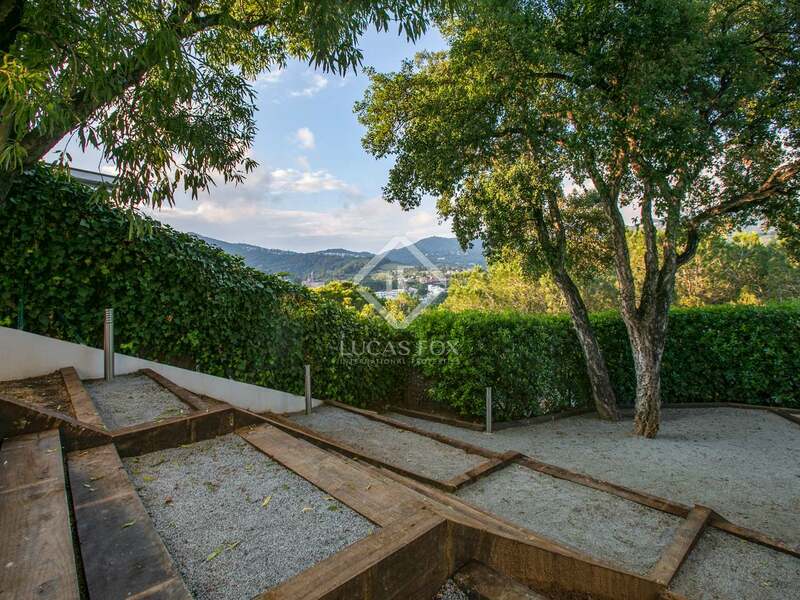 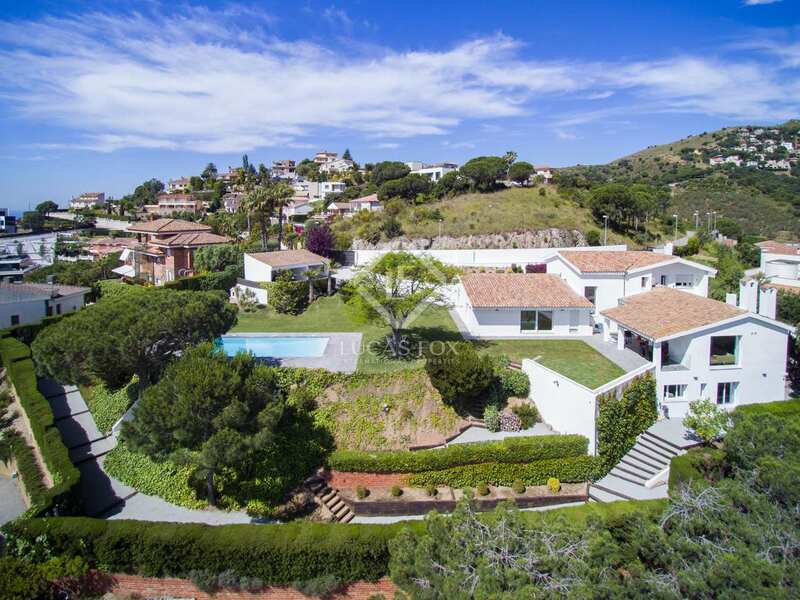 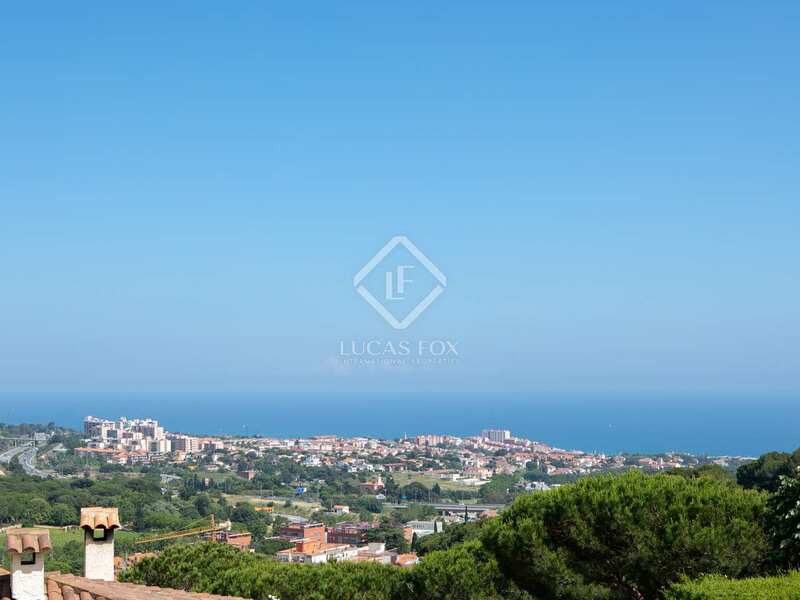 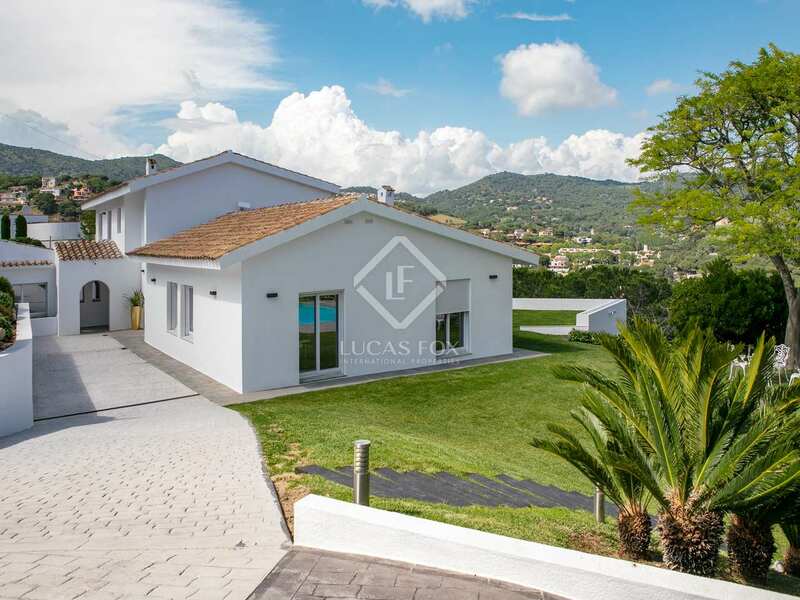 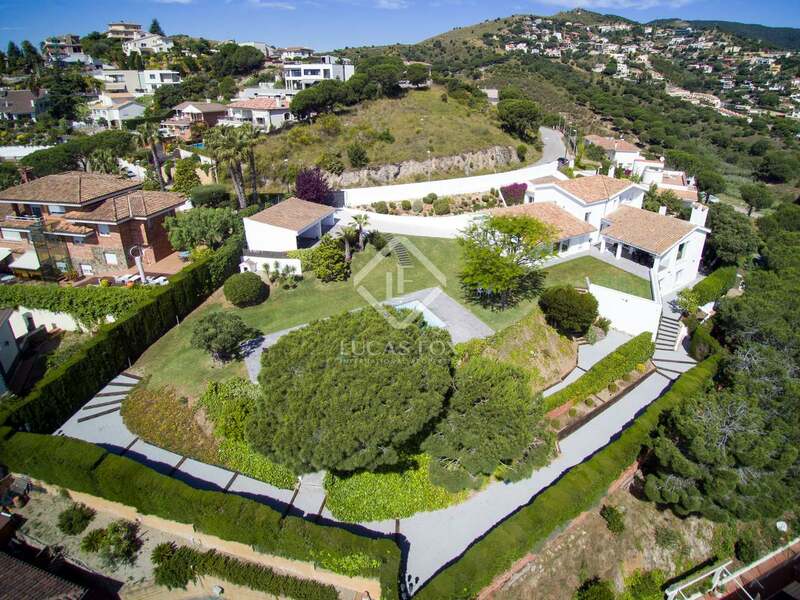 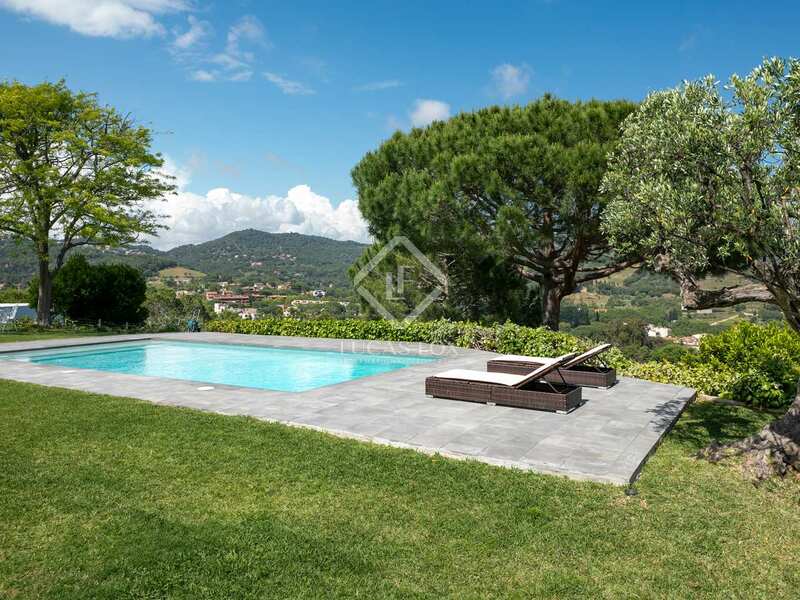 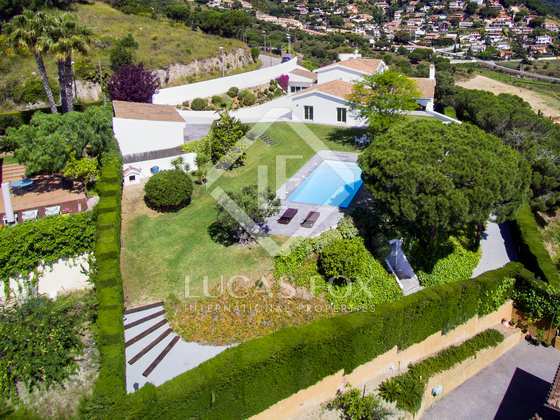 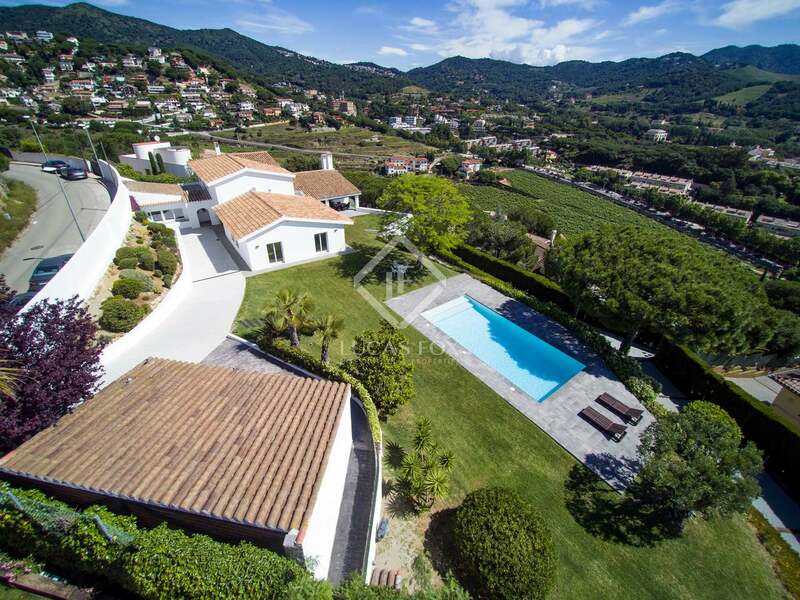 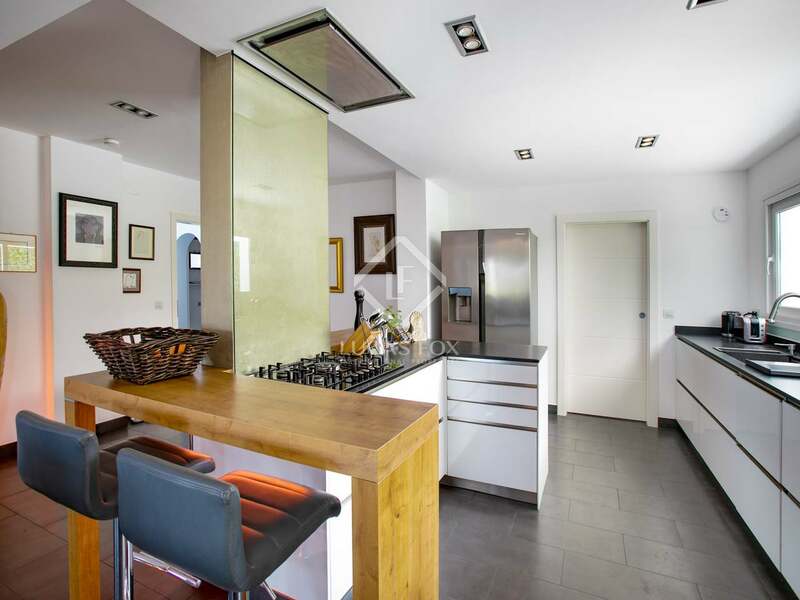 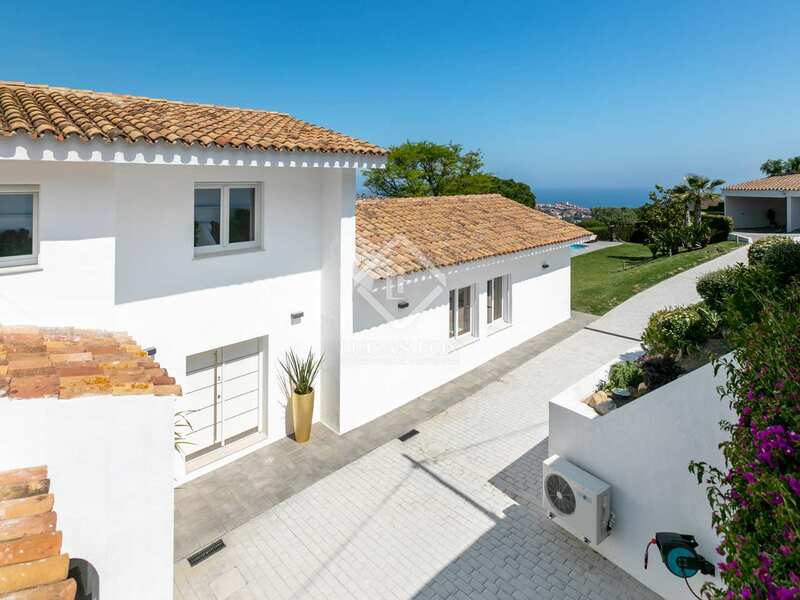 This spacious villa sits on a double hilltop plot that combines privacy with privileged panoramic views of the village, mountains and the Maresme Coast. 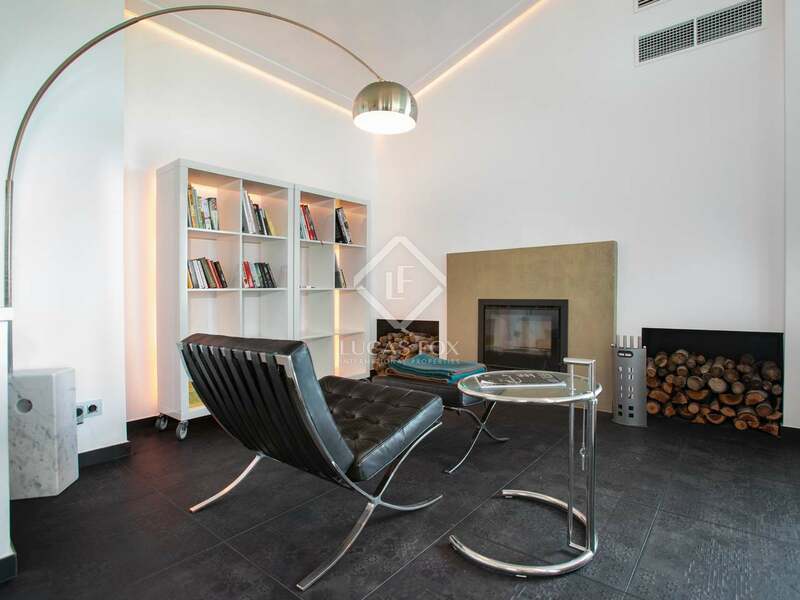 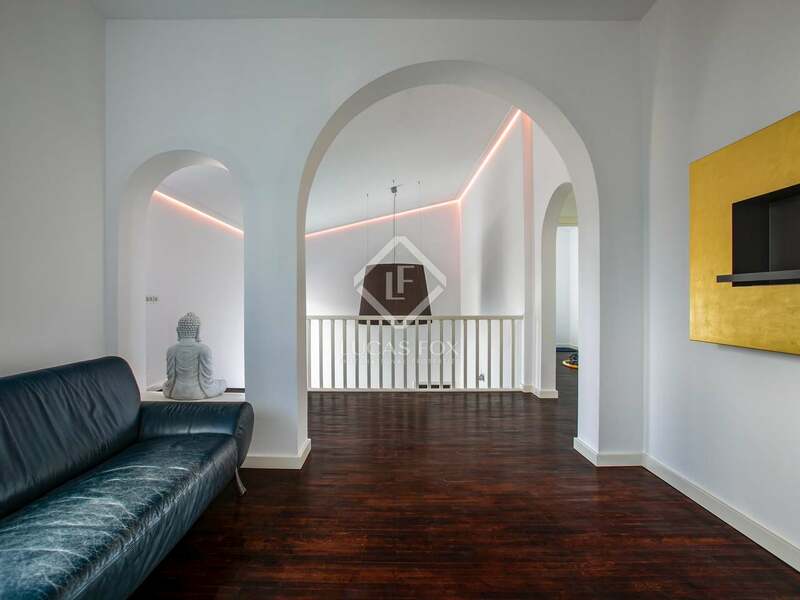 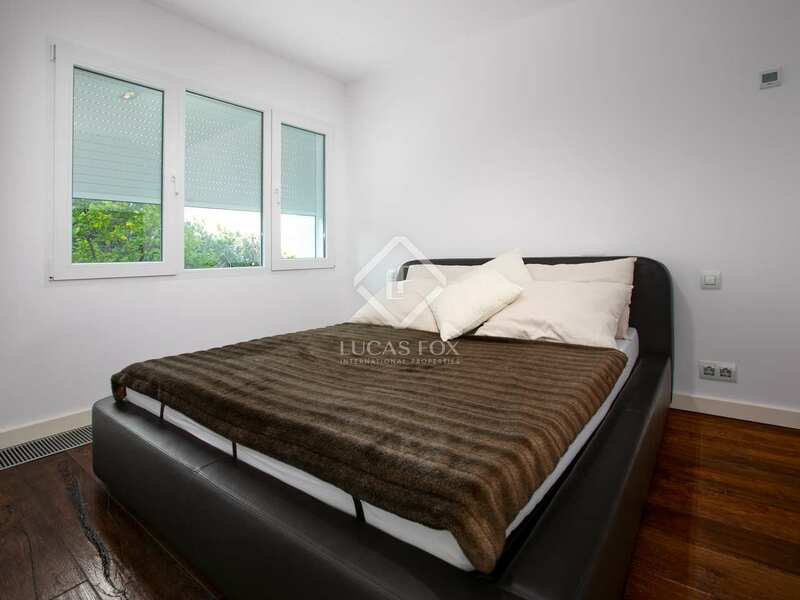 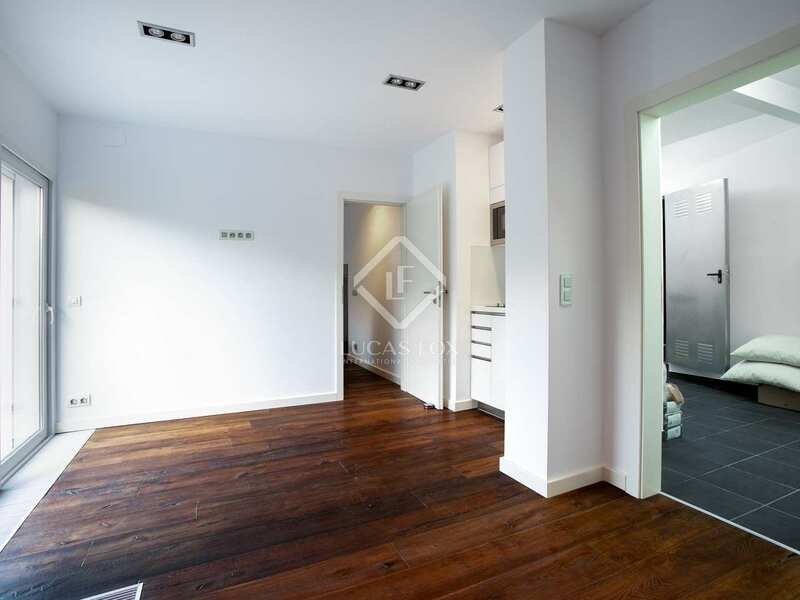 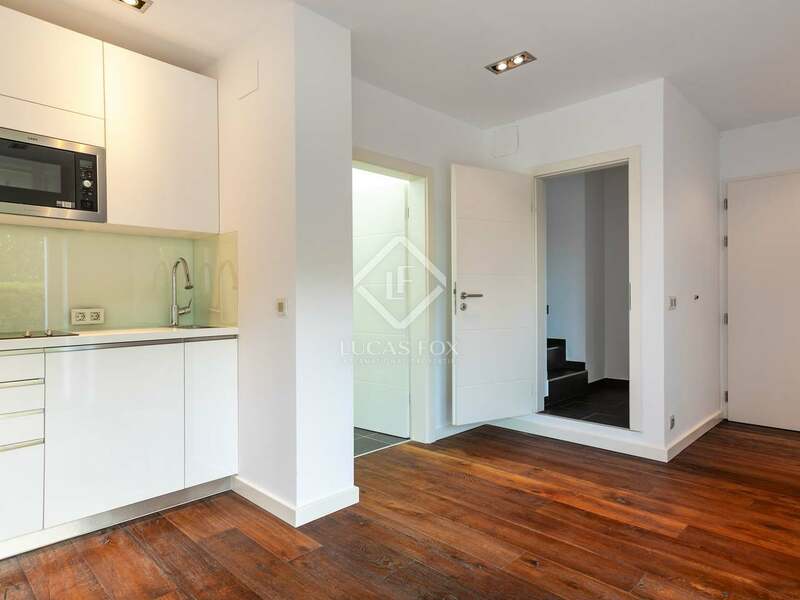 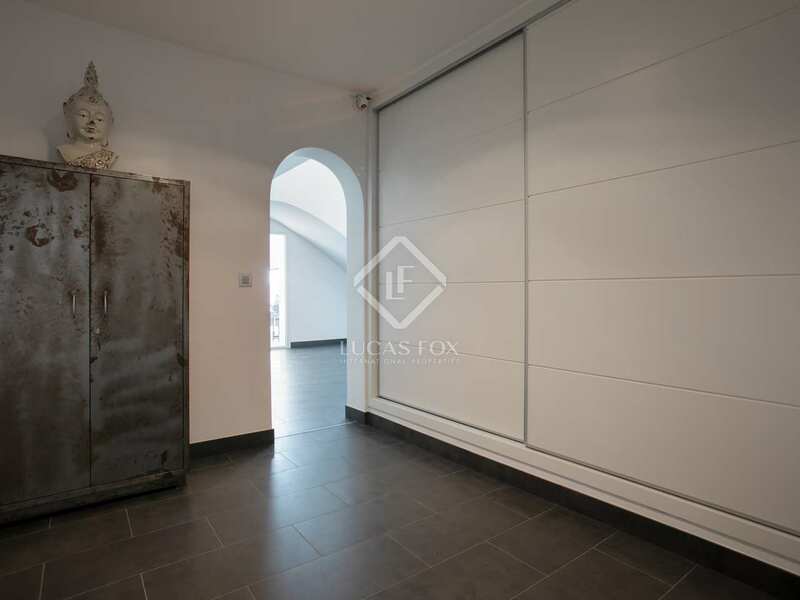 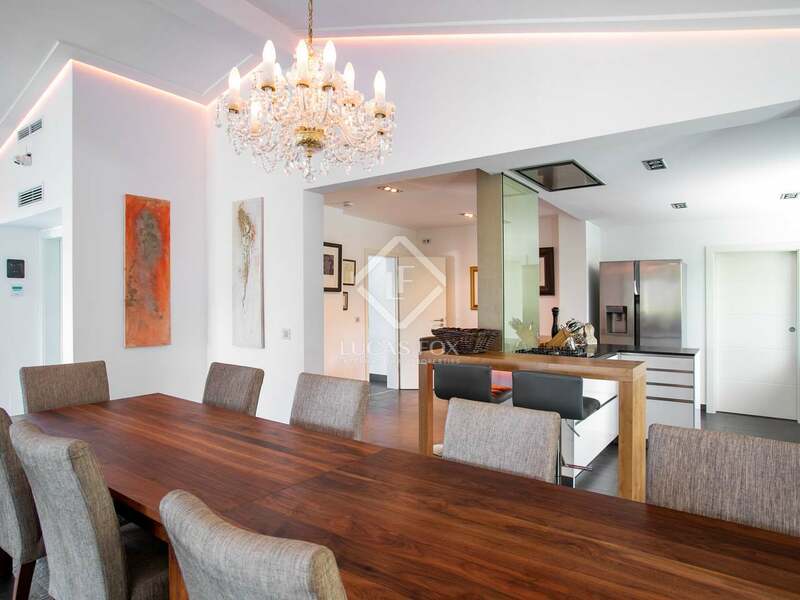 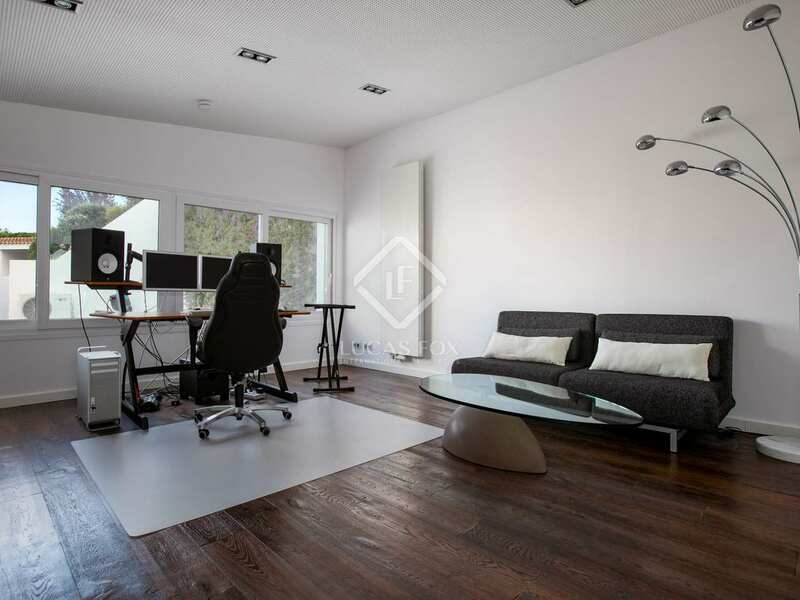 Renovated to a very high standard, it is built for 21st Century living, with state-of-the-art technology including app-controlled underfloor heating, chromatic lighting, fingerprint security system and full domotic control. 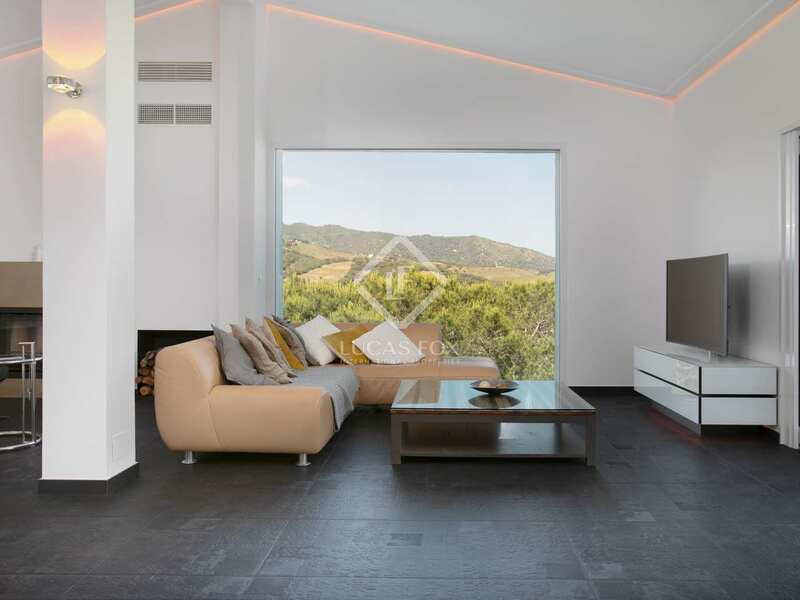 The house oozes subtle elegance, with large, bright open plan spaces, huge windows and a clean, minimalist design with white walls, floors of dark slate and wood and sleek modern appliances. 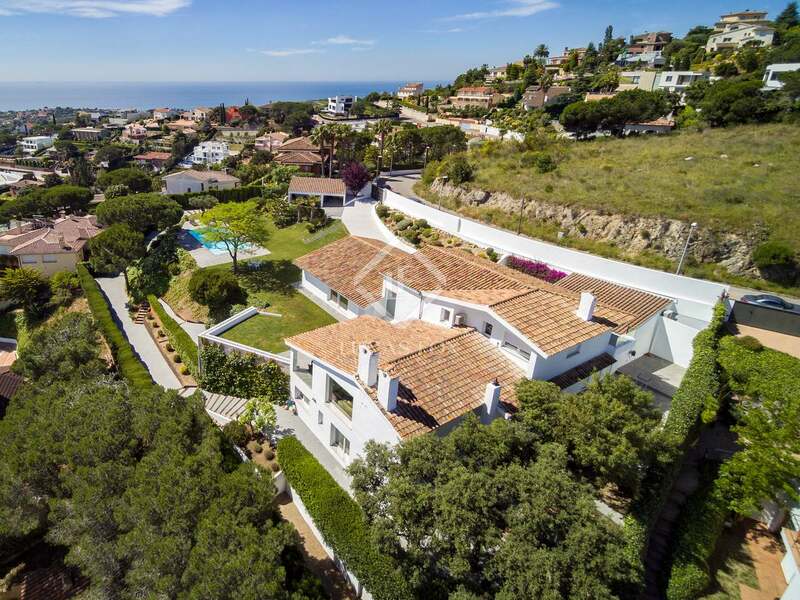 The neat designer feel continues outside into the manicured gardens, where the beautiful saltwater pool and deck await and property's south-facing orientation embraces the Mediterranean sun throughout the day. 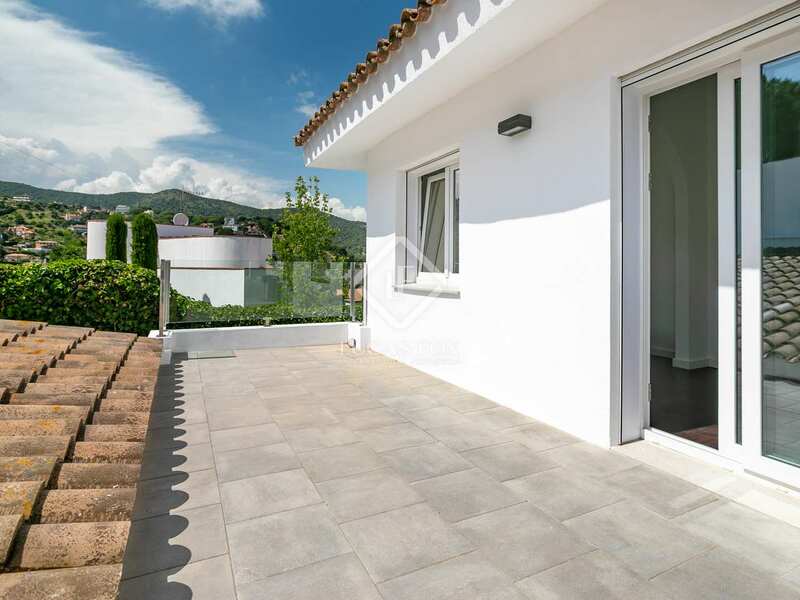 The gardens are not overlooked so privacy is assured, there are quiet corners to escape to and a large covered porch with sun awning for al fresco dining. 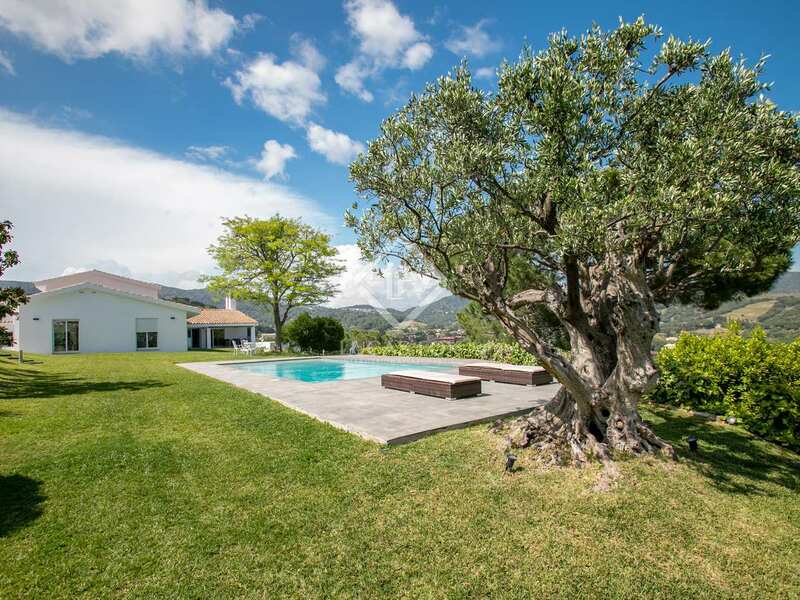 Mature palm, pine and fruit trees punctuate the views and create perfect shady spots for relaxing on the lawn in the day, while lighting brings the gardens to life after sunset. 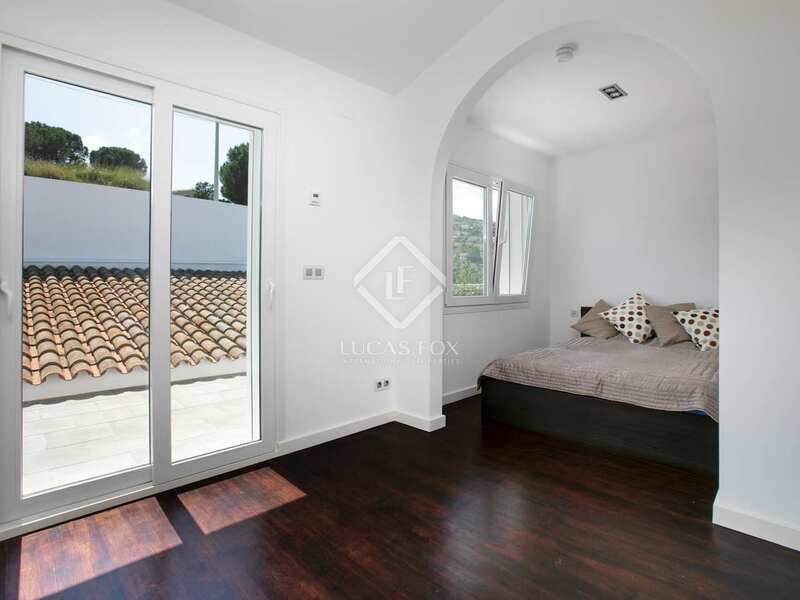 All bedrooms are bright and spacious, leading from very generous hallways that feel more like open plan reception areas. 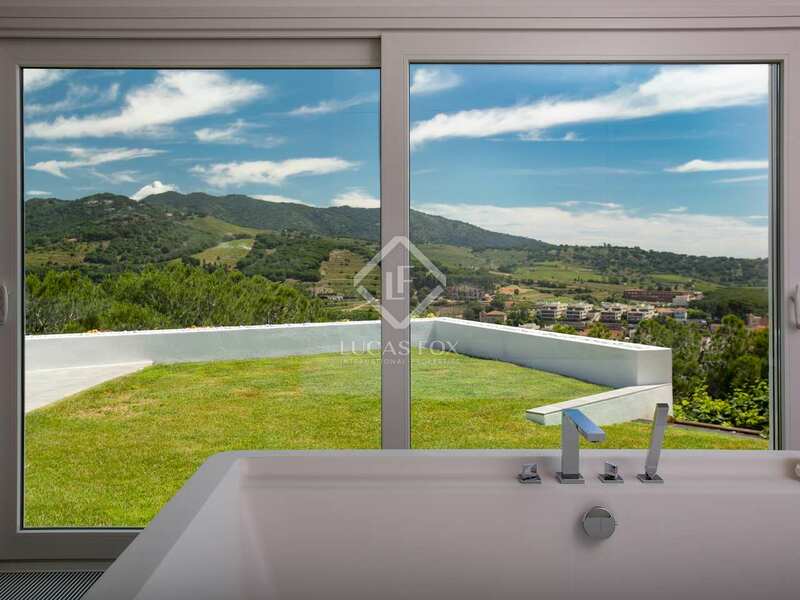 The master suite includes a spectacular Jacuzzi with lovely views, and all bathrooms are finished to the highest standards. 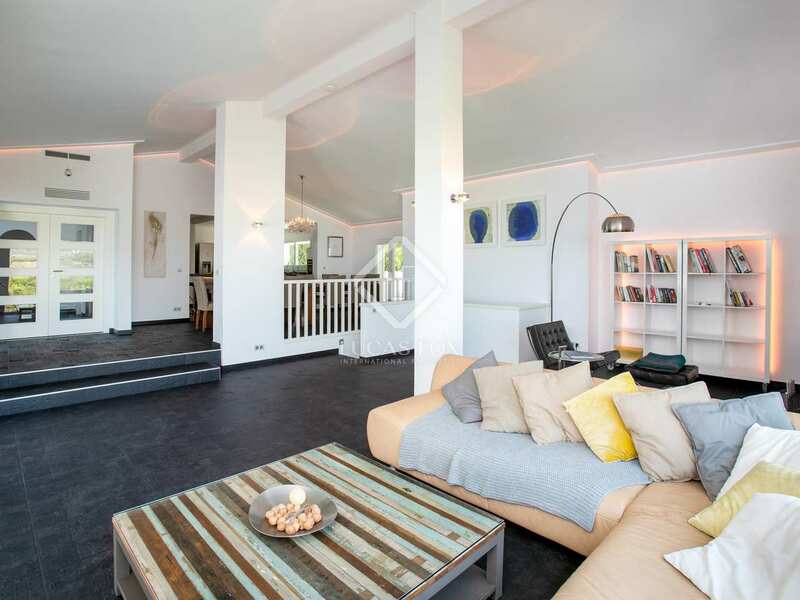 There is also a guest or service apartment. 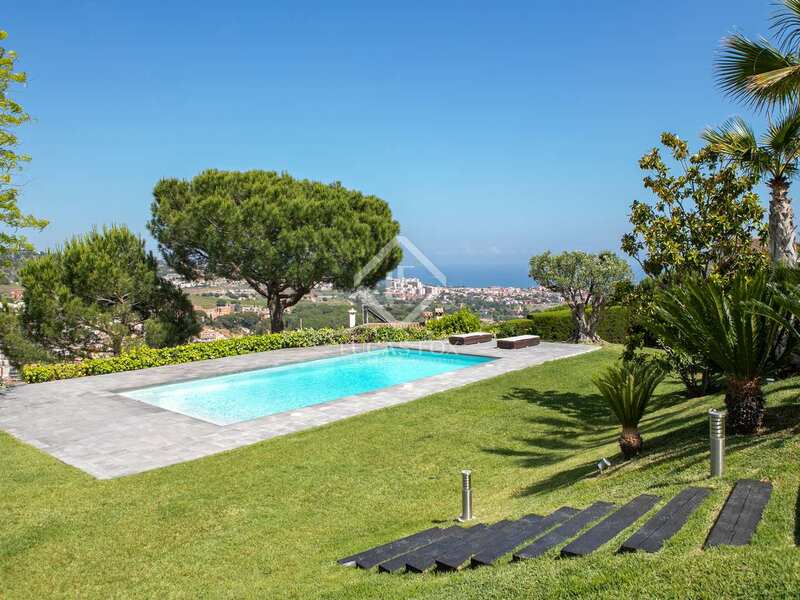 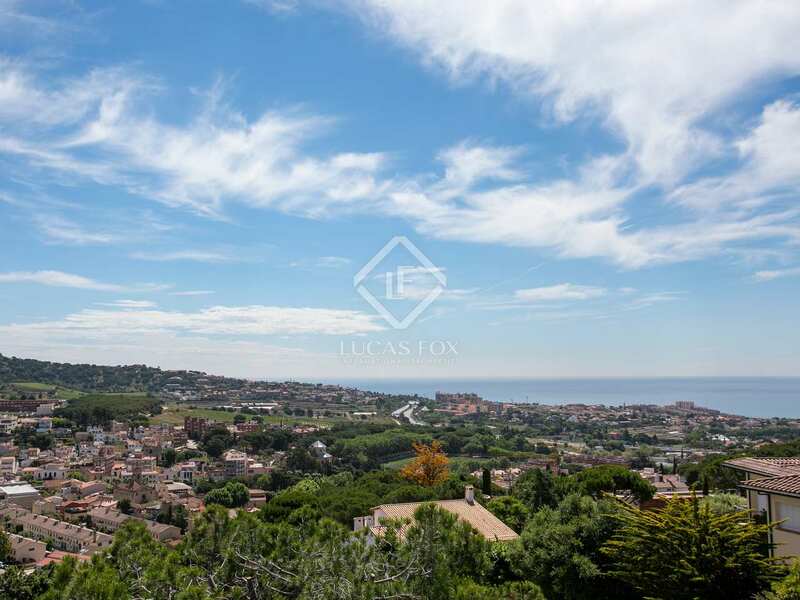 Alella is at the heart of the Maresme coast just 20 minutes north of Barcelona, an area of long beaches and picturesque wooded hills rising behind them into National Parks. 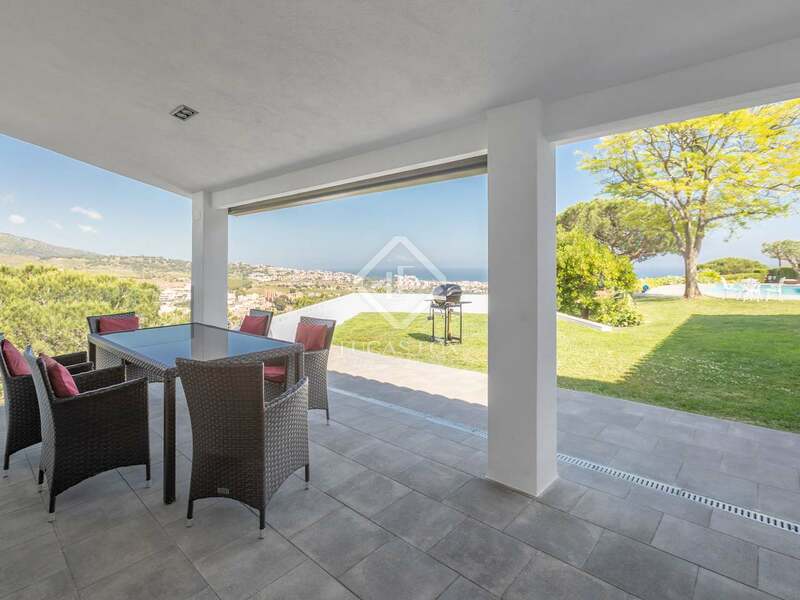 This is a very popular area to live because it is so close to the Catalan capital but also offers a fantastic Mediterranean lifestyle based on space, fresh air, bigger houses and a wealth of restaurants and beach chiringuitos. 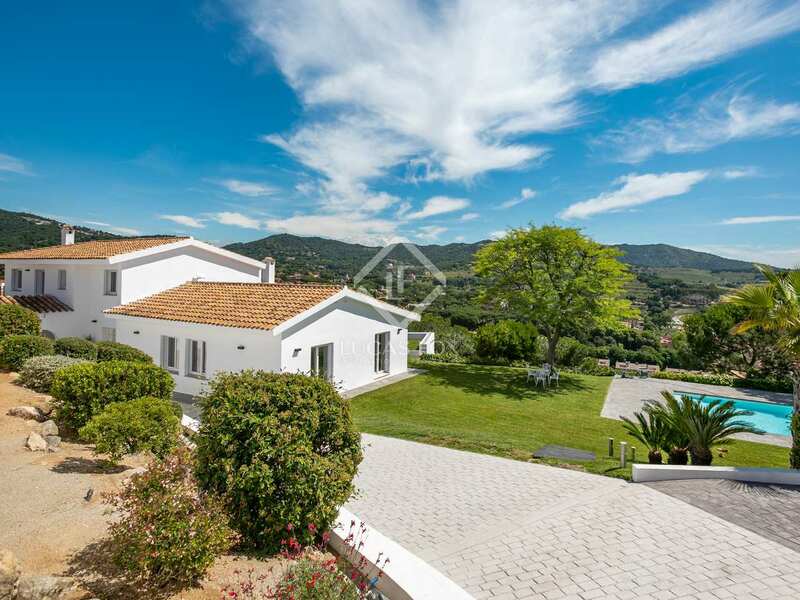 This house overlooks and has easy access to it all, sitting in an unbeatable position on the hilltop with lovely views, just a short drive from the centre of the village. 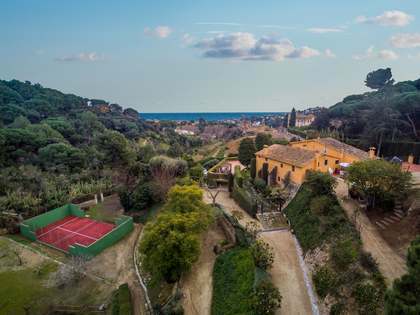 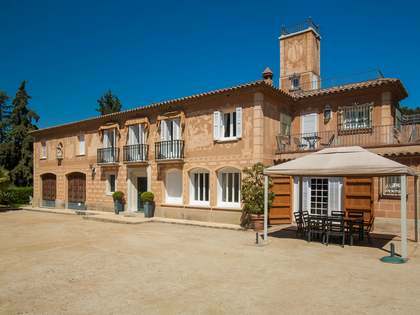 There are plenty of good international schools in this area, plus everything from hiking in the national parks, great tennis and golf clubs and chic marinas to vineyards contributing to the boom in enotourism and Catalan wine. 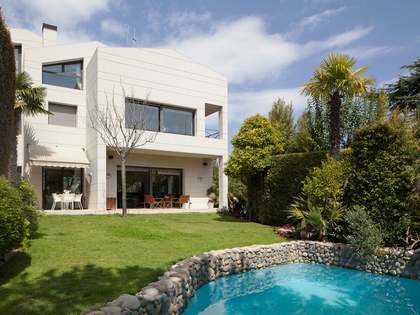 Barcelona airport is just half an hour away, while Girona and its international airport are less than an hour away. 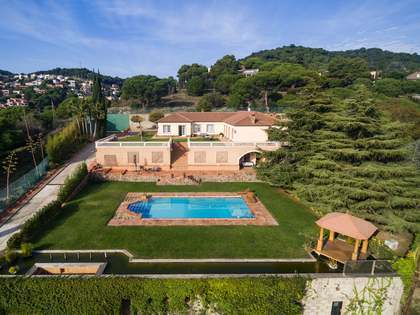 The wonders of the Costa Brava are also within easy reach.